That wasn't my first encounter with rude nurses, I have seen enough of them before. But after coming to Bajothang everything changed. I shared intimate relationship with people in our hospital. They have their children studying in my school and some of them studied here themselves, that made all the difference and I was soon pampered. It made me think that all the rude nurses have either changed or have disappeared. But last four days gave me the chance to wake up from my fairy tale and see the unchanged reality and untamed nurses. My mother in-law had her womb prolapsed and was due to undergo a surgery to remove it. But an ulcer somewhere on her cervix needs to be healed first. She needs dressing and packing on daily basis and I could think of no place better than Bajo. I was waiting outside the hospital and my wife was taking forever. When she finally came out she was almost crying. She said the surgeon would pay any attention, though she presented all the document from Thimphu. The Dressing room nurses send her to ward, and ward nurses send her back. She had to walk the length of hospital several times with her sick mother. She could finally get it done at the ward, though they kept mentioning that it wasn't their job. We thought things are settled but the same ordeal continued the next day and the next. I then understood how ordinary patients are struggling everyday. I noticed that there were many new faces and sadly wondered why do we have to know each other to receive good treatment when their only job is the nurse the sick. On the fourth day the nurse who knew how to do packing wouldn't look at us. She was free but angry with us. She directed two first-timers to deal with it and despite their best effort they landed up bleeding my mother in-law. That's what took us to Punakha Hospital. The gynecologist there wasn't a Bhutanese either but the moment we saw her it felt like we were breathing fresh air after a long time. She is a Burmese and speaks soft English. It was afternoon when we met her but she was full of energy and smile, something very new to us. That morning she had conducted two Cesareans and if there is anyone who has to be tired and frustrated it's her but she was ready for more. That makes Punakha Hospital the safest place for giving birth. She took in my mother in-law and educated my wife on all aspects of the problem, which was when my wife got to understand the disease for the first time. The Burmese then instructed my wife to come with plastic bangle - the one we used to on our wrist in high school- so that she could device a way to hold up the womb in its place, by which not only infection could be prevented but also quicken the natural healing of the ulcer. Seeing my wife confused, the lady came out of her chamber and check every visitors' hand, laughing and apologizing, to find a sample and she succeeded. She took my mother in-law in and used the ring. In Bhutan we are never used to so much attention and care, unless we are related or connected or special. And the Burmese changed my mindset all together; we don't have to be special to be cared for. She knows we come there to seek her help and she helps with whole her heart. I always thought Florence Nightingale was fairy tale character but she made me believe that it's possible to have such people. She herself is a living Florence Nightingale, a golden gift from Burma. She is the second woman I know from Burma, first one being Aung San Suu Kyi, whom I honour so much for doing their job so well. Thank you so much for coming to Bhutan. Update 8th August 2012: The kind lady from Burma is Ms. Swe Swe. Her contract with Bhutan will end this year. I only wish if our health ministry could request her to stay for some more year. She is an extraordinarily dedicated expert who has attained greatness beyond rudeness and frustration at work. Please Stay. I am deeply touched Passu Sir. It's not a rare thing that we find most Bhutanese rude at times and many of it are strangers we don't know and we are often greeted with a frown. but lucky are those people who come across such people like the nurse Aung. Let's pray the kindness shower upon us everyday like her and help people without discrimination. I hope your mother in law gets better with time. Thank you for being regular on my blog. Anyways, eagerly looking forward to see your next post. Mate, you are one hell of a famous blogger and i salute you for that. The edifice of your reminiscences are all worth reading. Read almost all of your work. Keep up the good work. It is always with intense interest that I go through your blog. I appreciate the way you relate your personal life with the larger world. That is what I observed significantly. It is sad to know that Nurses are acting so rude, and could feel how our people feel when they act rude. Me myself being in a medical field got to learn so much especially to how to deal with people. They don't judge how we treat them (therapeutic treatment)but they judge by the way we treat them (humanistic treatment). We (Medical people) should not forget that we are human as much as they are human. Thank you Monu, I know people like you will bring fresh live to medical world. Literature purifies human soul and I know you will do your job like Muna Bhai MBBS. Best Wishes. Passu, to my knowledge you write the best stories in Bhutan. I read this story some years ago from my cousin and it is my favorite. I seriously suggest against wasting your time writing on this blog which is informative and entertaining, but instead write more stories to publish as a book. I believe you have already written enough short stories to form a book. Go ahead and publish, or they will perish. Then start writing for your second book. Your blog readers like your posts, but your contribution will be bigger if your works are available in print; you will be better remembered as an author. Good luck. "You write the best stories in Bhutan" compliment coming from you means more than any thing in the world to me. I still remember those inspiring words you spoke about me in the creative non-fiction workshop in Thimphu where we attended as guest speakers. From that day on I gained confidence in myself, but over time I relaxed a bit. But you voice echos in my mind every now and then. Your sincere faith in me gives me huge energy and I am sure you will make me a writer one day. I will start reworking on my stories. 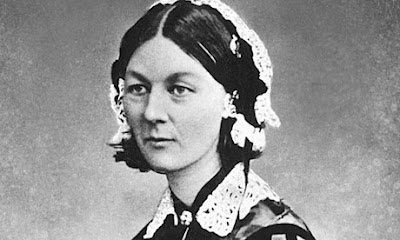 "Tears of Florence Nightingale" is the one I wrote in 2004 and this post has a slight fragrance of that story. By the way, Passu, I hope you are not the anonymous author of 'The Deadline" I posted on my FB!